Barça closed the 2018 calendar year as the only sports club with over one billion interactions on social media. No club anywhere in the world topped FC Barcelona’s figures, which over 365 days had a total of 1.189 billion interactions on platforms like Instagram (989m), Facebook (130m) and Twitter (70m), according to data extracted from CrowdTangle. 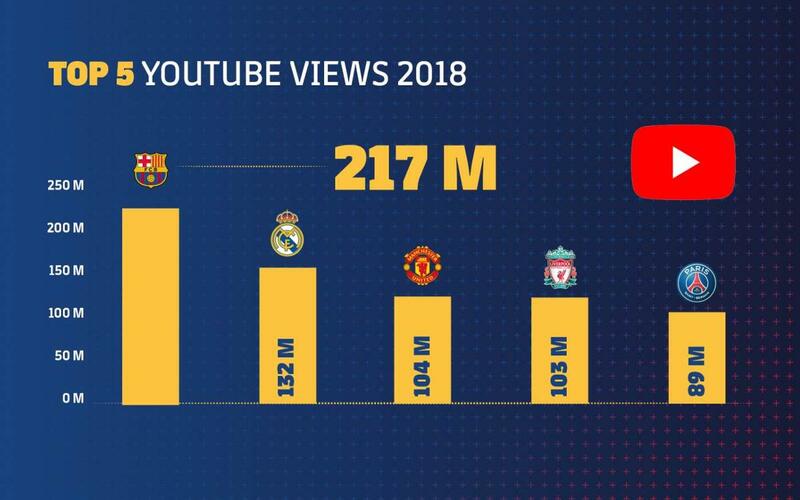 Barça’s YouTube channel had more views in 2018 than any other football club in the world. 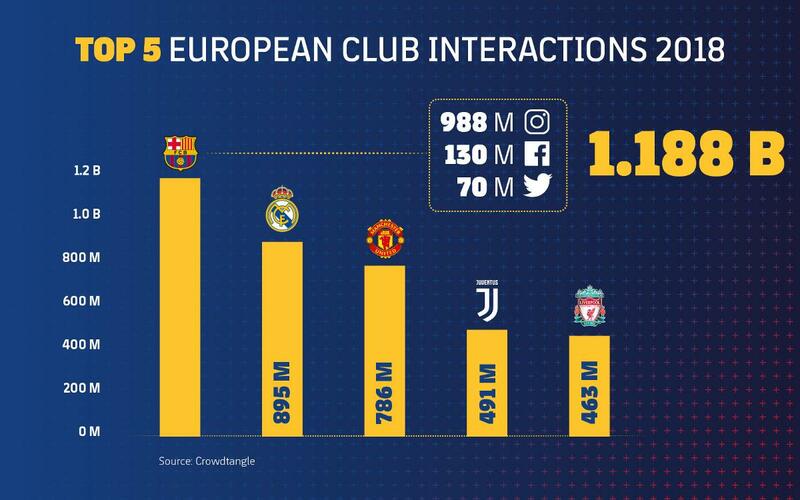 On Instagram, Barça had a total of 989m interactions — 30m interactions more than the previous year — first among the top European clubs, surpassing Real Madrid (703m) and Manchester United (647m). The Club’s Instagram account continues to grow exponentially, having gained 9m more followers and attracting a total of 873m video views in 2018 (an increase of 245% compared to 2017), in a community that has some 66m followers. Barça also leads on Twitter, where it continues to be the number one football club in the world. With a total of 70m interactions in 2018 — almost double the previous year — the Club surpassed all other sports clubs, including football teams like Real Madrid (47m) and Liverpool (46m). FC Barcelona currently has nine Twitter accounts, one in each of the following languages: English, Spanish, Catalan, French, Portuguese, Japanese, Arabic, Turkish, and Indonesian. On Facebook, where Barça came in second, the number of interactions — which include comments, likes, and shares — rose to 130m, just shy of the leaders (146.77m). Barça surpassed one trillion views on Facebook, which has been increasingly promoting video content. On YouTube, which is the platform of reference for video content, Barça is also the leading football club not just in views, but also in the number of subscribers, with 5.8m. In 2018, videos posted on Barça’s official YouTube channel were viewed 271m times, double the number two club — Liverpool, with 132m views — and almost triple that of the 104m views for third-place Real Madrid. The Barça strategy, which is focused on new formats, entertainment, and streaming videos centered around the first team’s matches, was a key in helping put up the best numbers on the popular platform.